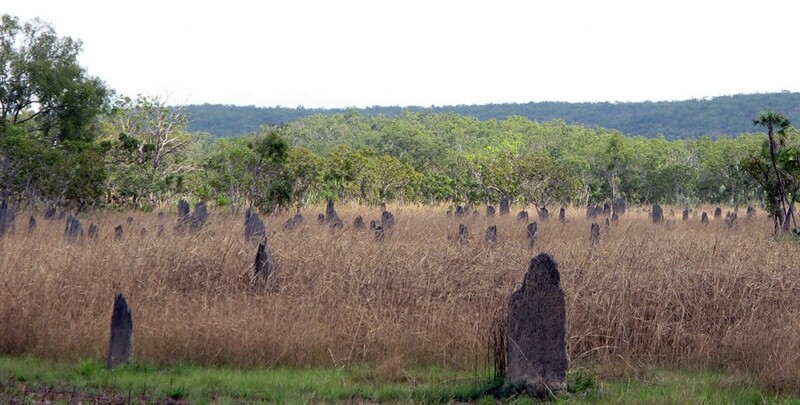 The Magnetic Termites of North Australia are extremely cool. Their mounds look rather like tombstones. They are some 5-8 ft tall, very thin East-West (about 4 inches) and long North-South (2-3 feet). They are aligned like this to reduce the impact of the sun on the nests. Recently, Mad Scientists ™ experimented by using magnets to distort the local compass direction. The termites then obediently built a nest aligned with the magnets rather than with true North. So they really are magnetic termites, doing magnetic sensing! Way cool! The nests I saw were in Litchfield National Park. 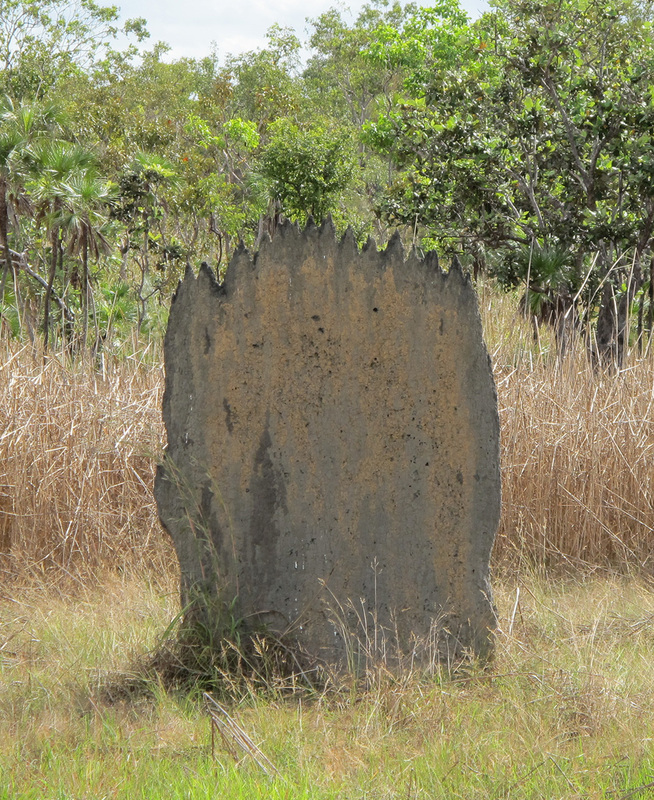 There is a large array of the tombstone like mounds in a small area, looking like a grave yard. This made me wonder if the name “Litchfield” might have come from “Lich Field”, but no, it turns the park name comes from a famous Northern Territory pioneer.